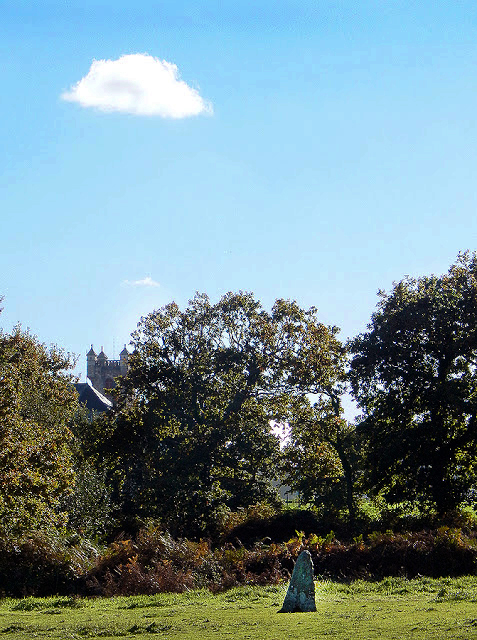 La Longue Pierre (long Man or long stone) is a good height and easy to see from the road as you pass it. It has quite a dominating presence on the landscape and is probably part of a larger group of linear structures that have a long North South Axis. 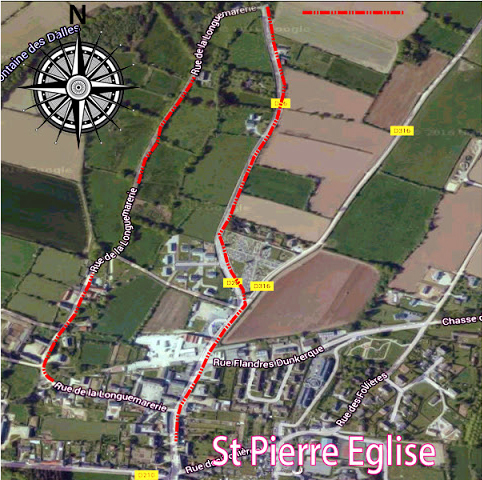 A lovely easy walk on a nice day as you can park in the centre of St Pierre Eglise (unless its market day) and walk down the narrow road to the megalith. The long Man Menhir is 4 metres high above the ground and placed in at a depth of 1.5 metres with the base being triangular. 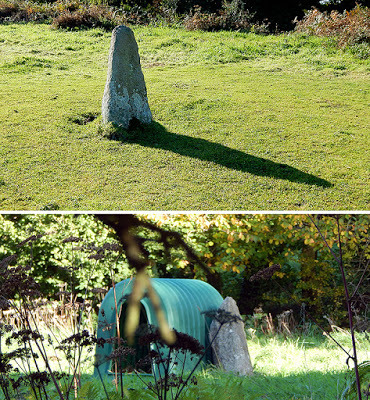 Because of its unusual shape it changes its aspect depending on which side you view it, with one side favouring a triangular shape and the other a rectangular domed shape as shown in the photographs above and below. It was built in the neolithic period (5000 - 2500 B.C). The period of time in which hunter gatherers became part farmers that started to base themselves in the same landscape. This would have also been a time of denser populations when large work such as the erection of this stone could have been more easily undertaken. 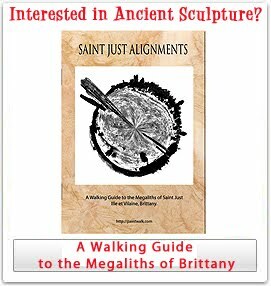 Although nobody is certain, it is likely that these menhirs were burial sites that were more isolated than the dolmens that were used to cover skeletons and may have been for chiefs or families. These stones have long been places of worship that were used well after the original builders were long gone. Of the 6500 or so menhirs in France this is one of the most unspoilt in the North Normandy Area. As you start to go out of town you come to a healing oak a place of magic lore where by placing spikes in the tree the corresponding human ailment would be cured. A large number of Stones and boulders are placed around the tree and although I cant prove it, I believe these may once have been part of a dolmen or avenue of stones. 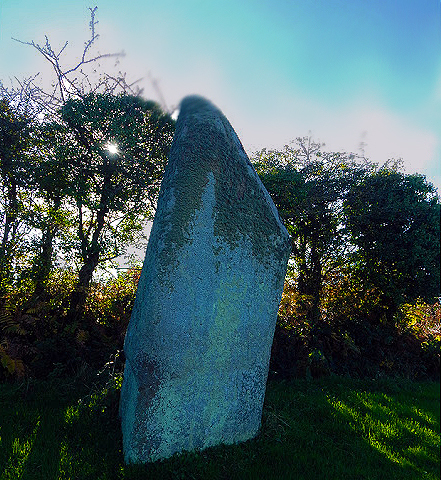 There are at least 2 smaller menhirs (shown above) on the route and probably more if you keep your eyes open. 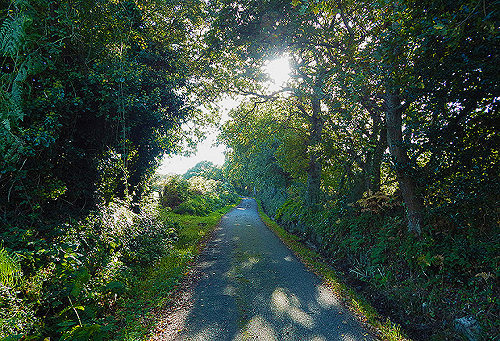 At the end of the road you can take a right up the hill on the main road going back into town, but after being in this quiet avenue with hardly even room for a single car it's just as nice to retrace your steps. 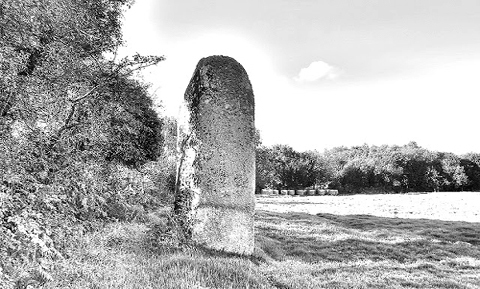 Watch a short film about this stone and the remarkable history of this road.